Both Rabri Devi and Tejashwi Yadav expressed faith in the 'mahagathbandhan' against the BJP, saying formidable alliances in states like UP, Bihar and Jharkhand have made things difficult for the saffron party. I would like to ask the first question to Rabri ji. After a long time, I feel that Lalu ji won’t be contesting the elections. Do you miss his presence, his participation in the election? Rabri: We all miss Lalu ji in our family, the people of Bihar miss him as well. They feel his absence a lot too. If he would have been here to campaign for the party, do you think it would have made a difference to your party’s prospects? Would you have been in a better position? Rabri: Yes, his presence would have made a difference. He would go and present our ideas among the people of the state. People like him when he speaks to them. So how are you going to present his ideas to the people? Rabri: We are broadcasting his views. Tejashwi also goes and campaigns in the respective areas and communicates his views. It has been a year, since last January, that he is not with you all. Are you able to meet him or talk to him sometimes? Rabri: No, I haven’t met him or talked to him. Tejashwi ji, have you been able to meet or talk to him? Tejashwi: It’s been 1.5 months since I have met him. I went to Ranchi a few days ago. The sad part is that my father is not well -- he is in hospital but I was not allowed to meet my ailing father. We tried to contact the jail superintendent continuously but we were not able to connect to him. We wanted to take permission to meet my father. We don’t go to Ranchi daily. We have responsibilities, we need to stay with the masses, we need to fight for them, so there are a few chances when we can go and meet him and when a day is fixed. If you see the jail manual, the jail superintendent or jail IG has the right to decide that if somebody from the family wants to meet, the IG can decide the time, date and day, and permit them to meet their family member in jail. But even there it is the BJP government, the whole administration is theirs, so an ailing father is not allowed to meet his son. We begged him to allow us to meet for just five minutes, if not that day, then we requested him to allow us five minutes for the next morning. So, in a way, Lalu ji and all of us are being mentally tortured. The sad part is that they are not allowing us to meet him, but they should at least give him proper treatment. The doctors from RIMS (Ranchi Institute of Medical Sciences), who are treating Lalu ji, are not my family members. They are the doctors hired by the same administration, they gave a statement already out in the Jharkhand media that when they have to conduct regular tests for Lalu ji due to illness, there is no facility to conduct them in the block where Lalu ji is admitted. All the machines and equipment required to conduct the test are in a different block. The block would be at a distance of 20-40 steps, but Lalu ji is not taken there also. A doctor has been waiting for 10 days, then why has Lalu ji not been taken to that block? Tejashwi, Nitish Kumar told me in an interview that Lalu Prasad is talking openly to everybody from jail. He is campaigning from jail, he is guiding the party. What do you want to say about that? You are saying that you went but were not allowed to meet him. Everybody has seen it. The media was also present there. Nitish Kumar has made a very immature statement. I want to say that Anant Singh accused Nitish. You know who Anant Singh is. Anant Singh accused him — that while Anant was in jail, Nitish Kumar contacted him several times and used to call him. Tell me, how does a chief minister contact somebody who is in jail? And Nitish Kumar did not even reply after these accusations? Anant Singh said that Lallan Singh, who is a minister in the Bihar government, was also sent to jail several times, and Nitish Kumar spoke through him to Anant and even via phone. What did the jail IG say? After Nitish Kumar’s statement, I am saddened that my father is not well, that he is not getting proper treatment, and Nitish Kumar is making such statements. Since it’s their government, they are raiding my father's hospital room daily. Why is nobody questioning Nitish Kumar? Anant Singh’s accusations should have been countered – if he was speaking the truth or if he was lying. This kind of politics is negative politics. Nitish Kumar and the BJP are misusing all the government organisations. Nitish Kumar was there when the Srijan fraud case happened and the CBI in-charge was transferred since he was unbiased. The Supreme Court is still asking questions. It was the first time in India’s history that an interim director of the CBI was made to sit in a corner in the Supreme Court from the morning till evening. It was like a student has been punished in a school. Why? Because he transferred the CBI in-charge without asking the court as he had to defend Nitish Kumar. The people of Bihar totally understand such kind of politics. 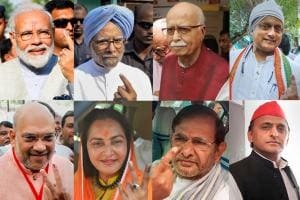 If we look at the 2019 polls, do you think the agenda of election has stopped at one point, which is nationalism? Do you think real issues have taken a back seat? Today the whole point is nationalism and people are fighting elections based on that. Tejashwi: I want to make one thing clear — discussions should be on issues and not on [PM Narendra] Modi. Have Rs 15 lakh been credited to everybody's accounts? Are there any smart cities? Have two crore youths been employed every year or not? How many Clean Ganga campaigns have been done? Did Bihar get special status? Did Bihar get the special package? Whether the income of farmers was doubled or not? These issues are not being discussed. I believe that if you give food to a hungry person, that is also nationalism. If you give jobs to youth, is that not nationalism? We use the slogan “jai jawan, jai kisan” in our country. Our country is a land of agriculture, today our farmers are committing suicide. Should there be a loan waiver for the farmers, is that not nationalism? Doubling the income of farmers, is that not nationalism? But Modi does not have time. Farmers held protests, they requested Modi for time to discuss their issues and their pain, but he did not have time. However, Modi had time to attend Priyanka Chopra's reception. Is this a war between the rich and the poor? In spite of being an agrarian country, farmers are not getting enough manure, they are getting manure at high rates. They talked about doubling farmer's incomes but nothing has happened yet. If somebody says that because of someone our armed forces are becoming better, I would say it is wrong. One should not politicise the armed forces. It was the Army who gave a befitting reply to Pakistan. I would give the credit only to the Army and not to anybody else. If we see the political will… there have been terror attacks earlier. In Mumbai, the then government could have given an answer, but this government replied to Pakistan twice. They carried out surgical strikes and then the Balakot air strikes. Since they have replied twice, there is an emotion of nationalism being considered in this election. Do you feel that when you mention these issues in rallies, people clap louder? Are people supporting this government because of such issues? Tejashwi: Understand one thing, did a surgical attack not happen before? Who divided Pakistan into two regions? When did it happen? Did the then government politicise this issue? You also know how Bangladesh was created that time. Pakistan’s army was made to surrender. It is the same Indian Army that executes the surgical strikes today and gives a befitting reply to any enemy. If a PM politicises this and keeps mentioning it everywhere, that it was his willpower and it happened because of him, then I think this is completely wrong. The Army performed its duty and we even said at that time that we completely support the Army, we trust the Army and we stand by the government, that a befitting reply should be given. This kind of politics should not happen. Politics should be based on issues. How will our country develop if the future of youth won’t improve? We should take our country forward. Will it happen by only giving replies to Pakistan? If we come to that argument, did he show the same willpower to China's army? The Chinese army entered 18 km in Doklam, why didn’t he give the same befitting reply to them? This is just to answer that argument of political will. So you are saying that this is not an issue and the public won’t vote for him because of this issue? Tejashwi: One should not. I have brought the issues in front of you. Today the discussions are only about Hindu-Muslims, mandir-masjid (temples-mosques), Pakistan-Kashmir. Will it help our nation? The poor are becoming poorer and the rich are getting richer. The situation for both the farmers and the youth is getting worse. Let me give you a statistic. A survey was conducted in 2018, which mentioned that 1.5 crore jobs were lost. Demonetisation destroyed 3.5 crore jobs. If you see the total, in five years of Modi's reign, five crore jobs were lost. He promised to give two crore jobs every year, this makes a total of 15 crore jobs, where did they go? Let’s come to Bihar. How many seats would you give to the “mahagathbandhan” out of 40? It will be better if you give us a break-up. How many seats will you give to the “mahagathbandhan”, how many to your party and other allies? Tejashwi: You are asking a wrong question. The question should be if our “paltu chacha” wins any seat from the 17, will he stay there or will he again flip? This should be the question. I want to tell the BJP that they should get it in writing from “chacha” whether he will stay or switch. History has it that he keeps changing. There is no fight in Bihar. When we had the by-elections, people said it’s the semifinal. We won all the seats where we contested. Nitish Kumar and Modi were together in the by-elections, what happened? We won on those seats which are non-traditional for us. We won the Lok Sabha seat of Araria. According to the Vidhan Sabha, there are six constituencies, three were those where we always lagged, but this time we have improved a lot there. We don’t need to worry for the elections, we are fighting from every seat with full force, and the “mahagathbandhan” will win every seat. So how many seats will you get from the 20 and how many will your allies get from the other 20? Tejashwi: We are all 40. Don’t divide us in a 20-20 math. They were calling it equal distribution. The BJP is saying that they will win more than 300 seats and there will be a clean sweep in Bihar, so what are your estimates? Tejashwi: The “mahagathbandhan” will win maximum seats, nearly 39-40. So you are saying you will win nearly all the seats? Tejashwi: Yes, all of them. Rabri ji, people say there are lots of clashes in your family, there are different camps, you both are in one camp and Tej Pratap in another, Misa in a third. So if there is no “gathbandhan” at home, how is this “mahagathbandhan” going to work? Rabri: There are no clashes, our family stands united. Enemies can try multiple ways, but nothing can divide us. Tejashwi: This is not an issue. 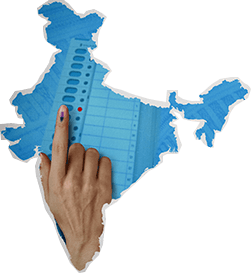 This is an election to save the country, to save the constitution, to save reservation. Rabri: Our personal issues won’t affect Bihar elections. Tejashwi: Let our personal issues stay at home. I am not going to ask anybody if he fought with his wife or not. These things should not come in between elections. I feel that this 2019 election is the most important election in India till date and discussions should be on issues, not on families. This question is being raised because Tej Pratap himself is giving statements. He says that my mother understands my pain. So what is his pain which comes out everytime in front of people? Rabri: No, he is not angry with us. We talk to him daily, every morning and evening. I talk to him myself. So are you all together? Rabri: Yes, we are all together. Tejashwi: He has said my brother is Arjun. Rabri: If somebody raises questions about the family, he answers them himself. But he is campaigning at two places against your candidates. Rabri: This does not have any importance. We are all together. So in the future, who will be your party leader? Will Tejashwi lead the party and will people fight under him? Rabri: There is no single leader in the party. There are senior leaders, there are juniors, we consider our party as a family. The Rashtriya Janta Dal is being run by that entire family. You made a statement yesterday which raised a controversy in Bihar. Prashant Kishor came to your house with a proposal and he met you five to six times. I want to know what the proposal was. Tejashwi: My father has written a book, “Gopalganj to Raisina”. A part in it says that within six months, we don’t know what happened to Nitish uncle that he wanted to come back to us. I don’t want to take names, what will he do if he is being sent? I just want to say that whatever has been written in the book is 100% truth. He met me several times, even my father and when we refused him, it got diverted to the Congress. I won’t say that this proposal directly went to Rahul Gandhi, it might be that it reached other senior leaders as per his approach and a proposal was made to convince Lalu ji. After Lalu ji is convinced, I (Nitish Kumar) will resign and after RJD and Congress supports me in the trust vote and exactly after 10 days, I will merge with the Congress. We were not told about this merger, but the Congress was informed. It was just to lure the Congress. Nitish Kumar plays after calculating 10 steps further. So he should tell -- why is he silent? He should counter whether he sent him or not. Prashant Kishor has countered and said that if Lalu sits in front of me and talks, it will be clear who offered what and that is why I wanted to know what the offer was and why you rejected it. Tejashwi: I have told you about the proposal. We had to reject it because one who has disrespected the mandate of the people, we don’t have a place for him. That time also we said that doors are closed for Nitish Kumar. What can Prashant Kishor do? He is being compelled. Why is he coming forward? Nitish Kumar should come forward and sit with me. Why will Lalu ji sit in front of Prashant Kishor? I am saying that my uncle should come and sit in front of me. Everything will be clear. You are saying that the proposal said both parties should fight this election together and you should be the face for chief minister and he could have been the PM’s face in what would have been a joint combined opposition. Tejashwi: It was first proposed to the RJD that they should support and if there is a third option, a name should be put forward. So we refused. We were always with the Congress and we always will be. Wherever we stand, we stay unbiased and stand with full strength. When we rejected the proposal, then he went to the Congress and discussed the merger. So this was the proposal? Tejashwi: There are more people involved in the proposal. I won’t take names now. I will say everything if uncle comes and sits in front of me. First, Prashant Kishore should take permission from uncle for whatever he is saying, has he taken permission? He is not even active now in politics. So you had this discussion six months after your alliance dissolved? Tejashwi: Tell me what happened in six months. He can only answer this. The media also raised this issue that time, it’s nothing we are hiding. People used to come and ask us if Nitish Kumar is coming back. We used to say that we won’t accept him if he comes back. You can see the record, we have said that several times. But he has never said this openly. Tejashwi: He never says it himself, he makes other people speak for him. My uncle is smart and intelligent, but he has made a mistake and he is suffering for his deed and in the coming years, in the way dinosaurs became extinct, he and his party will be extinct. There are two big faces in Bihar. One is PM Modi, which represents NDA, and one is Nitish Kumar. Don’t you think this combination is going to have any effect here? If you see the caste calculus, he is not behind. In fact, he is ahead of you. Don’t you think this will affect the elections? Tejashwi: There is no credibility left in Nitish Kumar. He will himself fall and make everyone fall wherever he goes. I am happy that he will sink the ship. People want to remove Nitish from Bihar as soon as possible, they are agitated with him. Crime, corruption has increased. The POCSO court has ordered a CBI probe against him. Such a huge accusation has been made and the Muzaffarpur POCSO court has asked for a CBI probe related to the shelter homes. He is even facing murder charges and he has been involved in the Srijan fraud case, he and his deputy CM are Srijan “chor” (thief). The main convict is nowhere to be seen, the investigators have been transferred. The image Nitish Kumar had in Bihar is now completely destroyed. Modi is a factory of lies -- he is the manufacturer, wholesaler and retailer. Modi's politics is show-off -- made up and adulterated. Bihar understands everything. They are waiting for the day to vote so they can remove them from Bihar. This is the condition. You talked about corruption, there are several charges of corruption against your party. Tejashwi: Against me, my mother, my seven sisters, brothers-in-law. If I was in the BJP, I would have been Raja Harishchandra. Your sins vanish if you join the BJP. Mukul Roy joined the BJP and now there is no probe against him. I am not talking about who is going where, I am talking about corruption and your party has also been accused of serious charges. Tejashwi: Yes, we have been accused, but we have been wrongly blamed. Political vendetta. Whether it’s the RBI, CBI, income tax, ED… multiple times this came in front of the people. The charges against my father, people keep popularising it as fodder scam, but the then CBI director Alok Verma wrote an affidavit to the Supreme Court that a PMO official, Sushil Modi and Nitish Kumar used to call him and say that send Lalu ji to jail soon. This isn’t being popularised. The CBI director is saying that Lalu ji is not guilty. He has been framed because of political vendetta, but nobody is believing that. The CBI director has not given a statement, he has given an affidavit in the Supreme Court. Does this have any importance or not? If you fight against the BJP, you are corrupted. Even journalists have quit their jobs. Journalists have been murdered. There has been an investigation, the court has given the judgment and then he has been punished. Tejashwi: If you see the judicial architecture, the case is going on and still awaited in high court. This is not the final judgment. There are times the judgment changes in high court. Why don’t you question the CBI … if they got an acquittal, why didn't you challenge that? You are challenging Lalu's bail. Lalu ji has won the DA case in Supreme Court. My mother was also accused and the total DA case was worth Rs 46 lakh. The CBI kept challenging that, even when the Supreme Court kept saying we don’t have property more than our income. If we were corrupt, we would have got more property. Where is it? We have won the DA case. This is just to create such an atmosphere. Our government institutions are in danger. I just want to say that Modi ji, you will be the PM for the next five or 10-20 years, but the constitutional bodies will stay forever. Just leave the government institutions. Nobody will get fair judgment if constitutional bodies won’t be spared. It will ruin the country. You are talking about your uncle, once upon a time he was also called as “sushashan babu”. He banned liquor, issues related to children, dowry system, he took steps for that. He worked on electrification. Don’t you think he also has a contribution in the progress of Bihar in the last 10-15 years? Tejashwi: You saw four different government in four years, is development possible? I don’t think so. If we talk about Nitish Kumar, ask him about Bihar's special package. Where is it? Ask him why Bihar hasn’t got special status. Lalu ji set up seven universities in Bihar. Today, Nitish Kumar has ruined the quality of education in Bihar. If you go to the hospital and if there is a patient whose leg is amputated, dogs run away with that leg. This is the situation. Is this development? I don’t think so. You spoke about liquor ban. My uncle is an engineer… liquor was not banned to eradicate intoxication, it was done because they have a setting with the mafia and they get funds for that. If liquor was banned, how is home delivery being done? A Rs 200-bottle is being sold for Rs 1,500, where is this Rs 1,300 going? To which fund? If the Bihar Police is been assigned to catch those who have liquor, how will the police catch rapists, murderers and robbers? Are you against the liquor ban? Tejashwi: Getting rid of intoxication must be implemented in the entire country. Uncle used to say the same for Jharkhand also. What will you do to liquor ban if you come to power? Tejashwi: Everybody should support this movement to get rid of intoxication. We will do it when we will get the opportunity. Everything should be justified. Nitish Kumar used to say, in Patna when Guru Gobind Singh's Jayanti was being celebrated, the PM was there in the Gandhi Maidan. Nitish Kumar said it should be implemented throughout the country, then why isn’t he speaking now? That time he was in an alliance and now he is with the BJP, so he is quiet. He used to say that a lot of supply is being done from Jharkhand, our neighbour, now why don’t you say it to Raghubar Das? People with you in “mahagathbandhan”, some of them were with the NDA before. So this alliance is not based on ideologies but is an opportunistic alliance. An alliance based on caste arithmetic. Will you accept that Upendra Kushwaha, Jitan Manjhi, Mukesh… all are joining because of arithmetic calculation. Tejashwi: They don’t have any history of changing parties. They have come here for the first time but somebody has a history of changing parties every time. You should ask such questions where they should be. Everybody knows the opportunist. Now the DNA’s car looks good? The BJP means “badka jhootha party”, is that fine now? Nobody has said anything like that against Lalu ji. Neither Upendra, nor Manjhi, the son of Mallah also never said it. If we look at your “mahagathbandhan”, there are internal competitions in many constituencies. There are rebel candidates, somewhere the Congress candidate is fighting with Jitan Ram Manjhi, somewhere there are candidates fighting with you, say in Madhubani, Darbhanga, Aurangabad… will it not hurt your plans, these competitions? Tejashwi: I don’t think there are such competitions. There are people who don't get opportunity from the party, so they stand as independent candidates. There is democracy and it is nothing new that people do that. More than half of the sitting MPs resign and quit the BJP. Ten percent reservation in forward caste based on economic status, how do you see this? Tejashwi: I am not opposing anybody. I want that if one is poor, he should be given rights. I believe there are poor people among savarna and also in other castes. But tell me, when the Mandal Commission had a meeting for the reservation of backward class, OBC reservation, there was a commission, surveys were done. That reservation was based on the caste census that happened in 1931. I want to ask: which commission held a meeting for this? Which survey was done, which caste census was made? It is being said that it is for savarnas, but this is for the general quota. If somebody has five acres property, how can he be poor? The one who is landless, who sleeps on the road, who is he then? Rich? One who pays IT returns of Rs 8 lakh, calculated monthly is Rs 66,666, how can he be poor? One who doesn’t get food, one who works hard the whole day to earn bread for his family, which he doesn’t even get for many days… that family is poor. Who did you give reservations then? If you talk about savarnas, then you have given reservations to rich savarnas, not the poor. My question is that the caste census should be based on whether it is for Brahmins, Kushwahas, Dalits, Rajputs, Yadavs or Adivasis. One who gets more number should be given more. The government has one statistic -- reservation was made based on financial situation and education, which says how many people are daily-wage labourers, how many people are landless, how many people beg. Reservations can’t be seen as a means to increase income. Babasaheb Ambdekar included reservation in the Constitution because it was the question of representation. Dalits used to tie a pot and they used to spit on that. They used to tie a broom on their backs, so they would sweep the floor when they walk, today also we see that Dalits are not allowed to get on a horse during “baarat” in a wedding. So this was the question of representation. This was a fight to participate in the society, to be treated as equals, to gain respect. This wasn’t a source of income. If they really cared, you could have transferred Rs 15 lakh to everybody's accounts. You should have given jobs to the youth. I never said don’t give to savarnas or Dalits, I am just saying that give it those who are poor. Poverty will end if you will provide jobs. Let’s move on to the “mahagathbandhan” again. Do you think the alliance is different in different states? It is different in UP, here it is different, Naveen Patnaik is doing something different, Mamata is doing something differently. Do you think you all should have come together before polling? If this has not been done, whose failure is it? For opposition unity, Modi says “mahagathbandhan” is “mahamilawat”. Tejashwi: Everybody tried to be united and at least this happened that everybody started meeting each other and talking to each other. If you take UP, for example, nobody had dreamt that the SP-BSP would come together. If you see Jharkhand, there is an alliance. It did not happen on a national level, but all of us are trying. Maybe this did not happen pre-poll but it may happen post-poll. But the necessary happened. At least state oppositions are united. The BJP is facing difficulties in UP and Bihar because of our alliance and in Jharkhand because of the UPA's alliance. They have problems because of such alliances. If you won’t be able to come together post-polls, it will again be easier for them to form the government because who will be your leader… Rahul, Mamata, Mayawati or you? Tejashwi: Elected MPs will choose the PM. Did you ask the BJP during the Vidhan Sabha elections that who will be the CM’s face? Did you ask that in Haryana why they didn't announce Manohar Lal Khattar's name before? Why Devendra Fadnavis was not announced before in Maharashtra? So the party with more seats will have the PM? Tejashwi: No, it doesn’t matter. The BJP’s face is decorative, fake, adulterated. Though they call themselves “chowkidaar”. Did you see Modi's photo as a tea-seller ever? You will get a photo of his childhood in a studio, his photo of RSS, he went to America, you will get that photo, but you won’t get a photo of him selling tea. Why is it so? Rabri: He was the CM of Gujarat for 15 years, that time why wasn’t he the son of a tea-seller? And when the elections for PM came, he became a tea-seller's son. After five years, there is another slogan that he is a “chowkidaar”. If he is a “chowkidaar”, then the people of this country are “thanedaar” (policemen). This voice should have been raised in Gujarat. So you are saying it is just a show-off. Rabri: Yes, this is just to gather votes. Tejashwi: Compare Modi and Rahul. What experience did Modi have when he was elected CM? Rahul Gandhi has experience. He is a parliamentarian for long. He is a party chief. But he has never been in governance. Two times the UPA was in power, but he was nowhere as a minister. Tejashwi: Modi was also not a minister. He was nothing, he did not even fight a panchayat election. Don’t you blame Rahul for not being able to unite the opposition as his attitude was uncompromising? Tejashwi: No, this can’t be said. That is a bigger party with more responsibilities. There is still time. You know what happened in 2004. Nobody knew Manmohan ji would be the PM for 10 years and run the government so smoothly. RJD was also not there with the Congress that time. We were in a post-poll alliance with them. It is being said in Bihar you are also not sharing the stage with Rahul anywhere. He came to Gaya and Purnia, but you did not share the stage. Is there any reason? Tejashwi: These same questions were asked in Bihar assembly, when Rahul, Nitish and Lalu were campaigning individually. Everyone has divided their responsibilities, we want to reach out to more and more people. Nitish Kumar’s image is like that, if he won’t go with Modi, people will start thinking something else. This is a compulsion for him. So this is not right that parties have united but not their hearts? Tejashwi: I went to the rally. Everybody from the “mahagathbandhan” was there in the Congress rally. Is this is just a co-incidence? Tejashwi: This is a part of the strategy. When Rahul Gandhi tore up that ordinance, whatever is happening with Lalu now started. Are you not angry with that? Tejashwi: This is not an issue. Let bygones be bygones. Rabri: He tore that ordinance for the whole country, not for Lalu ji. So you are not hurt? Rabri: No, we are not. Tejashwi: This is not an issue. We will fight our own battle. The court will decide. You have said somewhere that in this division of 17-17 seats between Nitish and BJP, the BJP has given too many seats to Nitish. What is the basis of that? What problem do you have? Tejashwi: 22 sitting seats were of BJP. Now they are 17, what is the reason and that too they have given seats to that party which forfeited 30-31 seats. If you see Vidhan Sabha-wise, 135 seats were forfeited. They know it is not in his favour. But he had a vote share of 16% and he has more seats in Vidhan Sabha, that also matters. If it happened in 2014, it is not necessary that this will happen always. Tejashwi: If this happened to us, then people would say they got pressurised but when it comes to them, then this is strategy. If Amit Shah makes strategy on the basis of caste, then it is social engineering, but if we do that, we are doing casteism, if they do it, then it is calculation, but if we do it then the Congress pressurised us or we did to them. If we see your candidate selection, you have given a chance to people with criminal backgrounds (Bahubali) like Shahabbudin's wife is contesting. Tasleemuddin's son Sarfarz Alam, Congress has also given ticket to Anant Singh's wife. What message do you want to give? 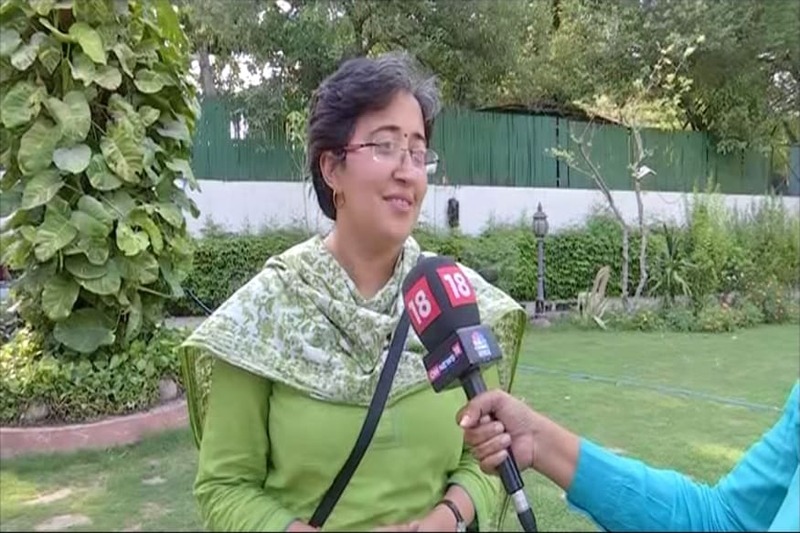 Rabri: JDU’s Ajay Singh's wife from Siwan is also contesting. Tejashwi: If I am guilty, then it is not necessary my son will also be guilty. If I commit a crime, should my mother be punished? You tell me when the state CM has such criminal charges, how is he the CM? Why don’t you question him? He has been charged with murder. The POCSO court has ordered a probe. His soul has not awakened. Is it only for Tejashwi and Lalu? I think his soul has died in the Bay of Bengal. So you are saying tickets shouldn’t be given to Bahubalis, but it can be given to their relatives because they don’t have such track record. Tejashwi: Is it a final decision from the court? On what basis are you calling them Bahubali? If someone else has committed the crime, will you punish their relatives? The question is if you see the stats of BJP, people from criminal background are elected as ministers. Rapists are elected as ministers. You also have such candidates with murder charges. Tejashwi: The party has sidelined them. We have sidelined the accused. You have given three seats to Mukesh Sahni. I asked people the full form of BJP, but nobody was able to tell me, so what was the compulsion to give him three seats. People are saying that he is bankrolling your election. Tejashwi: It is the same thing, you asked the first question. If you see, Mukesh Sahni's community is totally backward. If we give representation to them, are we wrong? So extremely backwards shouldn’t fight elections? Should we not give them respect? The son of Mallah has come forward by his hard work. He left home and went to Bombay. He earned, then came back to serve his Mallah community. If he was with Amit Shah, then it would have been fine. Question to Rabri. The family needs to be together with the party. Will you play the role to keep the family together? Rabri: If they come in front, I make them understand or I call them on phone and make them understand. Tej Pratap, Tejashwi, Misa… are all of them together? Rabri: Yes, Misa is here and she will contest from Patliputra. So all are together, there is no camp? Rabri: Yes, we all are together. Do you want to say anything to Lalu ji through our medium? Rabri: I just want to tell him that he should be fine and we are handling Bihar, the party and the family. I just want his blessings.